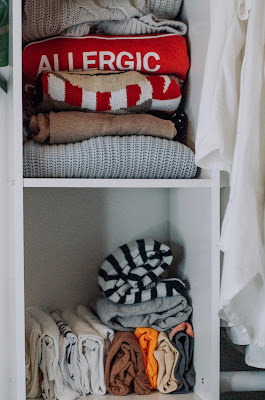 I have to admit I have picked up and put back down Marie Kondo's books many times in Target. 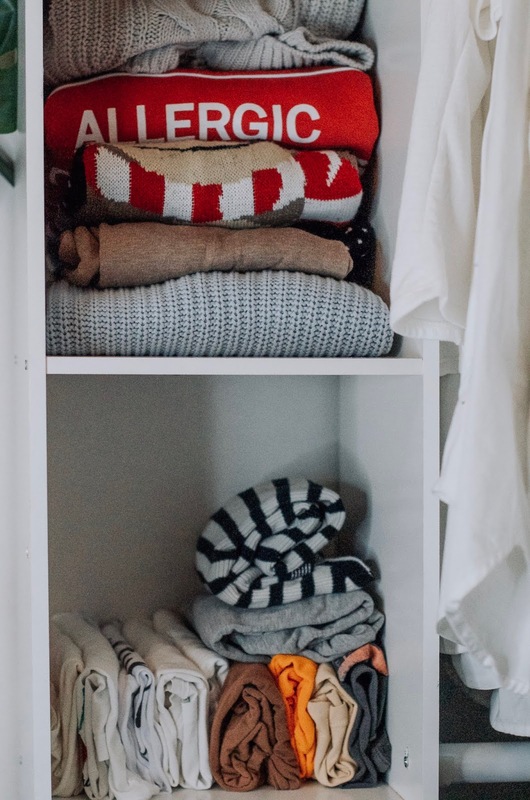 Japanese author, Marie Kondo has been everywhere with not only her best selling book The Life Changing Magic of Tidying Up but also with her new Netflix series, Tidying Up with Marie Kondo. The series is only 8 episodes but as soon as I watched it I binged the entire series. In the series she feels like a reality tv modern day Mary Poppins driving up to each home in a black Dodge caravan with her translator. She is petite, sweet and easily brings a smile to your face. She enters every home judgement free, humble and a desire to bring joy back in each person's home. I instantly looked around my bedroom and so desperately wanted to feel what she was serving. 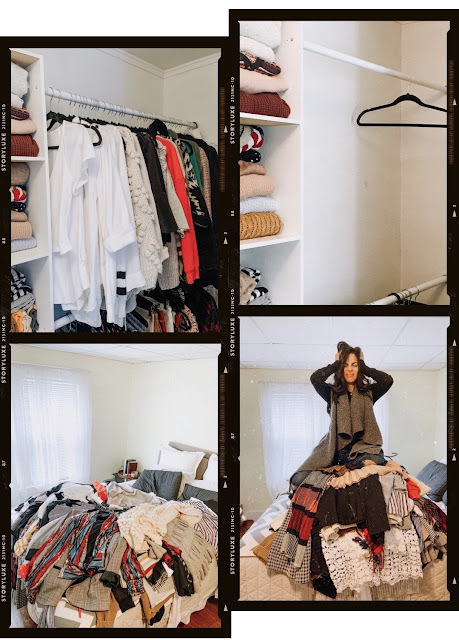 Her method is called the "Konmari Method"and it's more than just a technical step by step method, it has a kind of magic to it. The method is less about just tossing out all your things but more about what sparks you joy and a cleansing of the heart per say. It brings awareness to some of our deep hidden insecurities, grief, and unknown inadequacies. What I found most interesting about her method is her meditation time to greet someone's home. It's a level of respect that the Japanese culture has that I find endearing and refreshing. My parents worked really hard to give us the life that we had but we didn't have luxury or an over abundance of things. We had the little that we needed. I realized in this journey that I have a history of buying and holding on to things for sack of quantity not the quality. These items were not sparking me joy but rather anxiety. Be committed. When I did my bedroom it toke me about 3-4 hours. Carve some time out of your day to commit to this. Do it in the instructed order. Hold each piece and ask yourself, "does this spark joy?" If the answer is no, then express gratitude to your clothing item and let it go. Create separate piles. 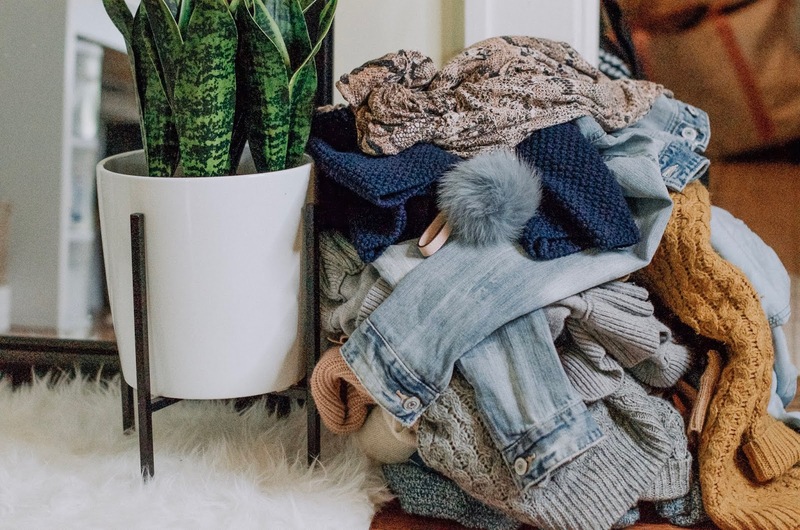 When doing your closet make three piles: keep, donate and throw out. It helps when your done that you immediately put the clothes in boxes or the trash bin. 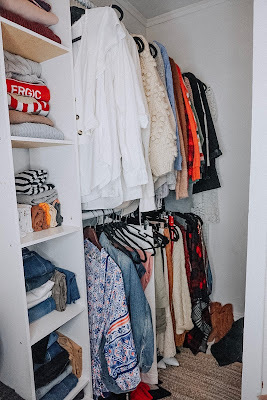 It creates a clean new space to begin hanging and folding only the clothes you plan on keeping. It brings a calming feeling to your space. The process was so therapeutic for me. I let go of a lot of older items that I was simply just holding on to and some items that I was convinced I would need for a future event or make believe day. I only held on to items that really sparked me joy and some that were necessary such as a couple sweaters and basics. 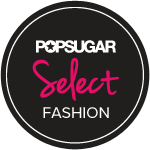 A lot of items that are in great condition I posted onto my Poshmark account. 1. I love folding laundry now. Before this method I dreaded folding laundry but now I love it because I love the way my clothes look in the drawers and closet. It brings a space of calm and peace in my bedroom and I look forward to picking out my clothing in the morning. 2. I know where everything is. I realized when you love all the items in your home then you know where it all is. No more time spent looking for a blouse, or a specific pair of socks. 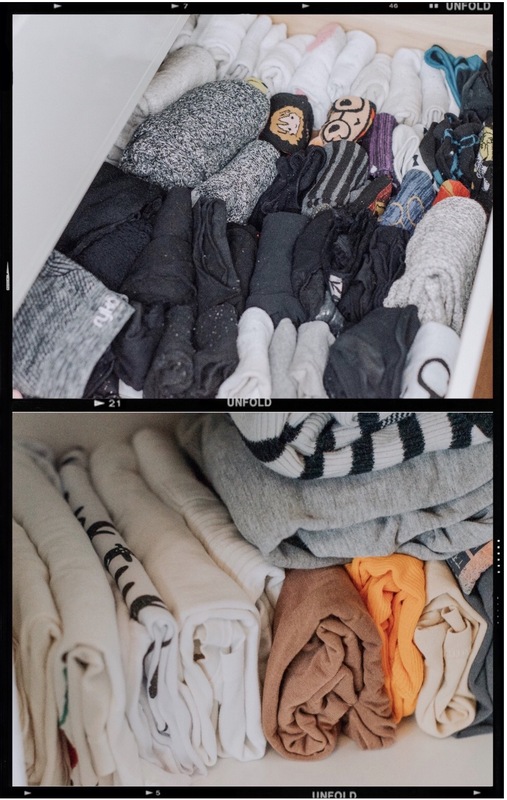 I know where each and every item of clothing is because of the folding method. Everything is folded upright in the dresser that I can see exactly what it is. 3. I am exercising practicality. I am a very indecisive person since I was a little girl. By taking this journey I have tapped into what sparks joy to me. I am not interested in buying every single trendy beauty or fashion items posted on social media. I want investment pieces that really catch my eye and make me smile. I like to plan ahead now and do research while I am online shopping. I am no longer a retail hoarder! 4. I tapped into more gratitude. One of the most emotional parts of the method is telling the items that you are going to toss, thank you. This process toke me down memory lane with some certain pieces. I was truly thankful to God for some pieces that I owned and how there are millions of people out there that have nothing compared to me. It felt humility and gratitude in these moments. 5. I know how I want to spend my time. Before doing this I wasted a lot of time in la la land. I tend to space out a lot especially in moments when I feel overwhelmed and I have a lot to do. When I see my clean space now I feel purposeful. I plan my days on a strict schedule, make time to nurture relationships in my personal life and focus on pursuing my passion. 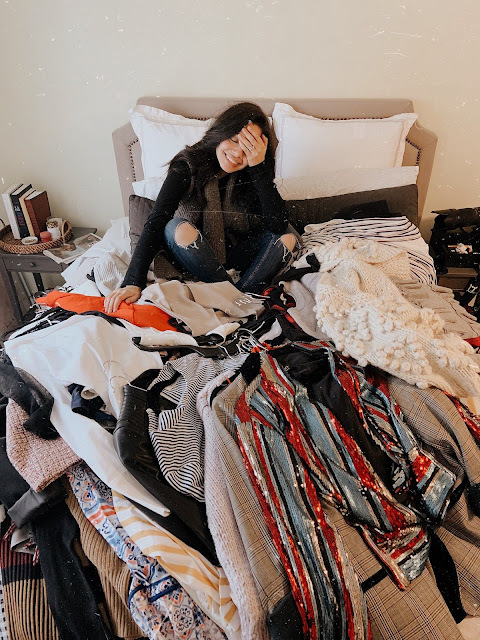 I WOULD LOVE TO HEAR IF ANY OF YOU HAVE BEEN MAGICALLY TOUCHED BY MARIE KONDO KONMARI METHOD. 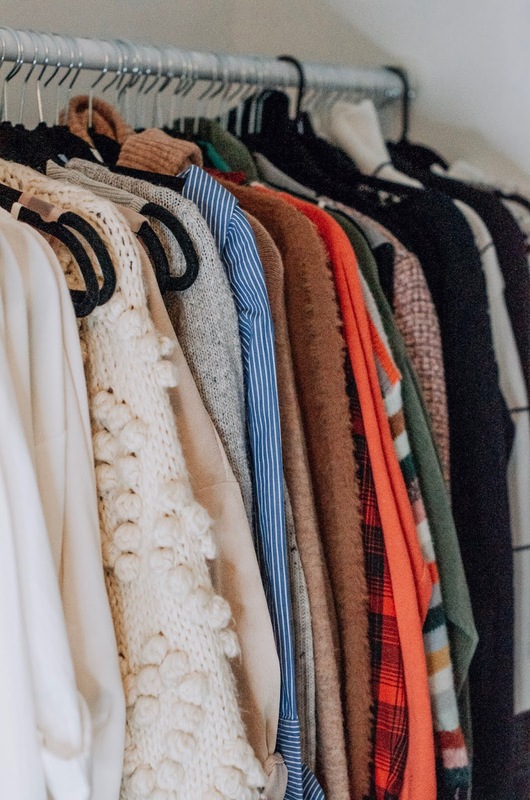 LEAVE A COMMENT BELOW AND SHARE IN HWAT WAYS THE KONMARI METHOD CHANGE YOUR LIFE!